Sears may have once marketed its “softer side” to customers, but former employees say recent moves by the struggling retailer are making for hard times. Sears may have once marketed its "softer side" to customers, but former employees are hitting hard times after recent moves made by the struggling retailer. For some who are now jobless after decades with the company, there's financial uncertainty and confusion in the wake of a major court-supervised restructuring process announced by Sears Canada last month. 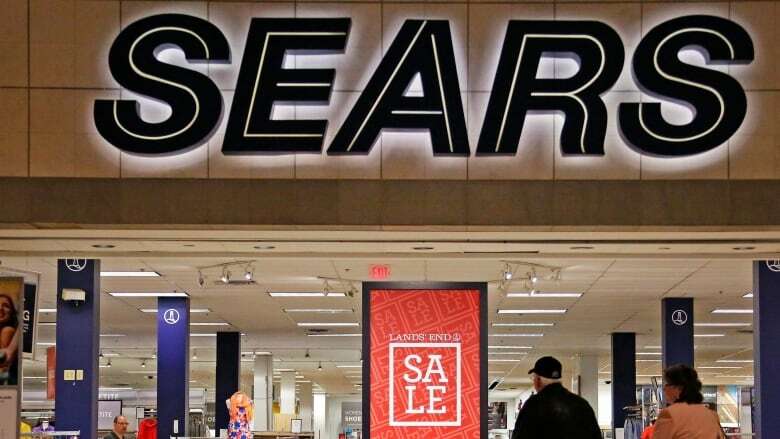 At a July 13 Superior Court hearing, a judge will hear arguments about pension matters and post-employment benefits from lawyers representing Sears Canada employees. Rose Dalessandro, a sales manager who worked for Sears for 20 years, says she's had to cancel dentist appointments for her two children after finding out her severance pay is being cut off. "I can't pay for them," Dalessandro said in an interview. "We're very, very upset,"
Dalessandro worked at the Sears Woodbine store in Etobicoke and was laid off when the location closed in March. Zobeida Maharaj, a senior operations manager at the same store, worked for Sears for 28 years and says she's "disgusted" with how the company has treated the employees who have been let go. Like other managers at the Woodbine store, her severance payments have also been cut. "I pay my mortgage with that," Maharaj said. Previously laid off employees like Maharaj and Dalessandro found out they were losing their severance pay on June 22. That's when the company revealed it had been given protection from creditors under the Companies' Creditors Arrangement Act. The retailer was given a month to restructure. Both Maharaj and Dalessandro say the way they've been treated is a sharp contrast to the happier times in which they loyally served the thriving retailer. "We loved our store. We loved Sears. It was a great atmosphere," Dalessandro said. Maharaj wonders why, with Sears still in business and with several lucrative assets like the Eaton Centre location sold off, longtime employees are being left empty-handed. "Where did all this money go? That's the hard thing to grasp," she said. According to Sears spokesperson Joel Shaffer, "cash constraints" at the company are causing "challenges" for several stakeholders, including previously laid off employees who negotiated severance pay. "Among other things, paying these amounts would put the interests of one group of unsecured creditors ahead of those of other creditors, including secured creditors who have priority over unsecured creditors," the email said. ANALYSIS: Sears Canada's future is in doubt. How did it come to this? Shaffer said previously laid off employees who believe they have a claim for further compensation will be able to participate in any claims process established by the CCAA proceedings. Filing for protection under the CCAA gives a company a chance to keep operating as it tries to make arrangements with its creditors. The protection can be extended and it's not clear how long it will take in this case, but Sears Canada said in June that it hopes to "exit CCAA protection as soon as possible in 2017." Marinella Gonzalez didn't find out she lost severance pay on June 22. Instead, she found out that after 17 years with Sears Canada she was losing her job. The analyst and planner says she was one of employees at the company's Toronto headquarters sent to a mandatory meeting that day at the Metro Toronto Convention Centre. "Everyone in that room was terminated," Gonzalez said in an interview. "Everyone was confused. We didn't know what to do." she said. Afterwards, Gonzalez says, it didn't get much clearer. A group of people who would support the laid-off employees was introduced but Gonzalez said after the short meeting "they were nowhere to be found." Gonzalez said employees were told to pick up packages on the way out, but she was disappointed to see it contained only general information about the layoffs. They also got taxi vouchers for the ride home. "When there's a mass layoff like that, there should have been some sort of support for the employees. We were left with nothing and we're still in the dark two weeks later," Gonzalez, 54, said. According to Shaffer, terminated employees were provided with written information before leaving the meeting, as well as "more detailed" information that was mailed to them later on. Gonzalez described the second package as a "duplicate" of the first. Saffer said terminated employees were also directed to a website that deals with frequently asked questions. "All communications urge terminated employees to contact the Sears Canada HR Centre with additional questions," he said.